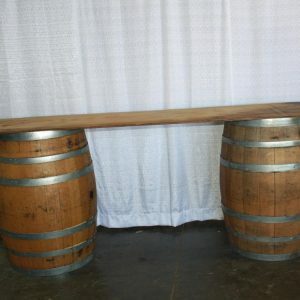 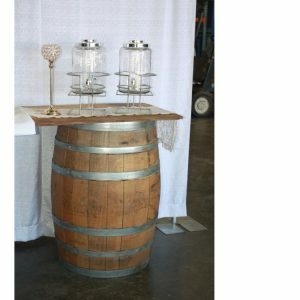 Wine / Whiskey Barrel Table. 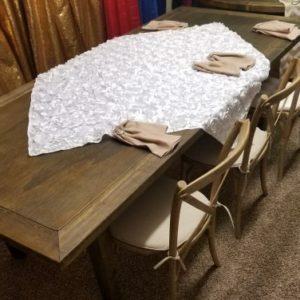 Perfect for that vintage look. 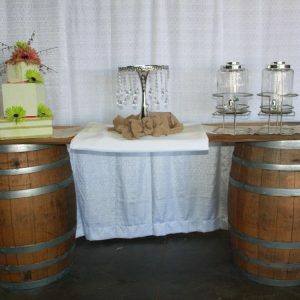 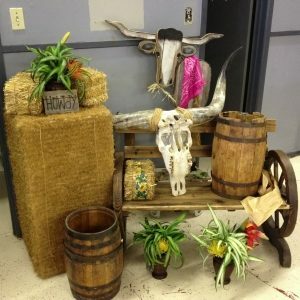 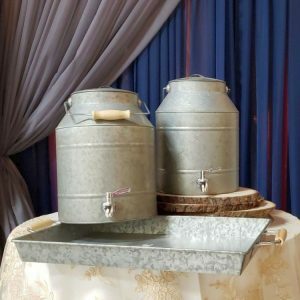 Decorate with this table to add that extra look to your event! 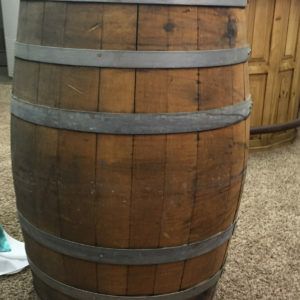 Comes with 2 Vintage Barrels and Wood Topper.